I was recommended to this landscaping contract from a previous client I built a garden for. On first viewing the garden all retaining railway sleepers were rotten. There was a mowing edge in front of the sleepers to reduce maintenance. 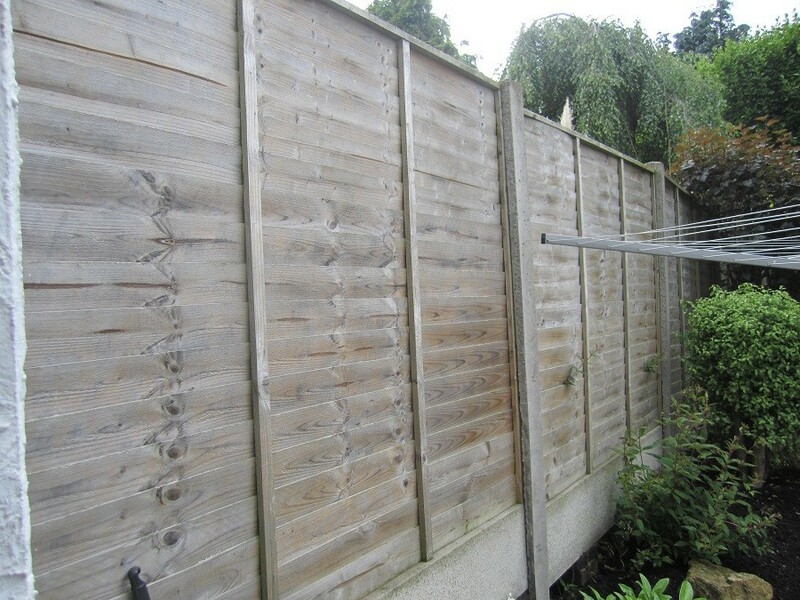 The surrounding fencing was of the concrete post and panel type, and as is usually the case, badly installed with no regard for levels. The planting was very good, including mature specimens of: Silver birches, Fatsia japonica, Photinia ‘Red Robin’, Ilex aquifolium, Aucuba japonica, Viburnum tinus, Sambucus nigra, Hydrangea spp., Skimmia japonica, Fuchsia spp., Camelia spp., Philadelphus spp., Spirea spp., Pittosporum’Tom Thumb’, Sorbus ‘Amangowa’, and various conifer spp. 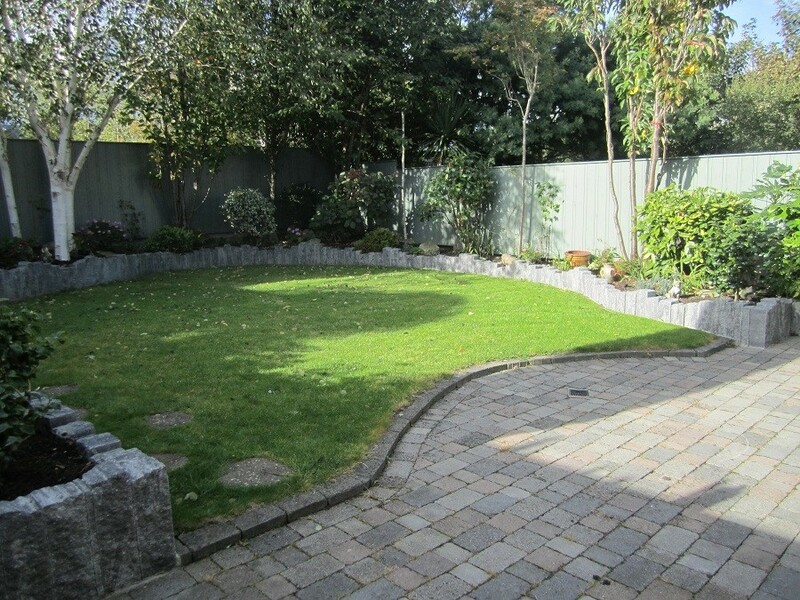 The lawn was in good shape with stepping stones leading to existing 8×6 shed on the left side. There was a cobblelock patio with weeds coming through which would need to be sprayed with chemical and power sprayed. Unfortunately, railway sleepers were all the rage in the Celtic tiger. 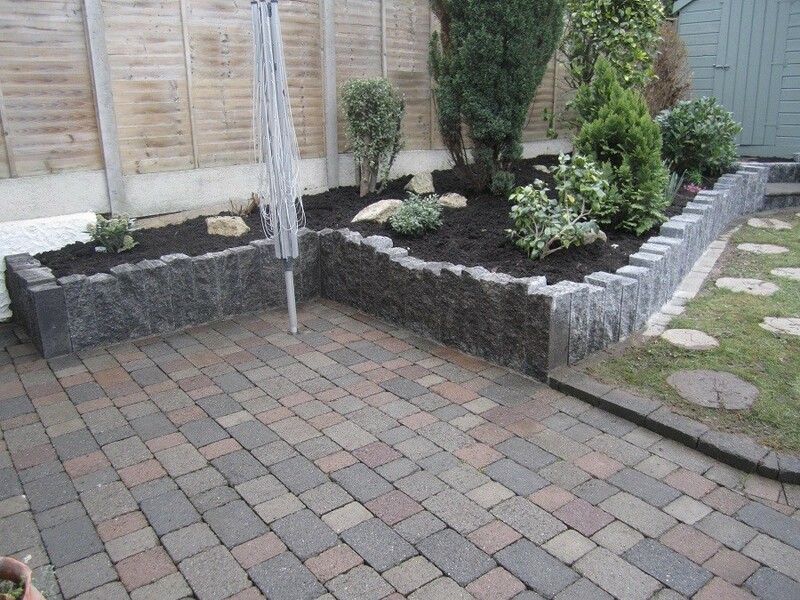 Although sleepers look well when first installed they are not a long-term solution. Railway sleepers rot over time, no matter how well you try to protect them. 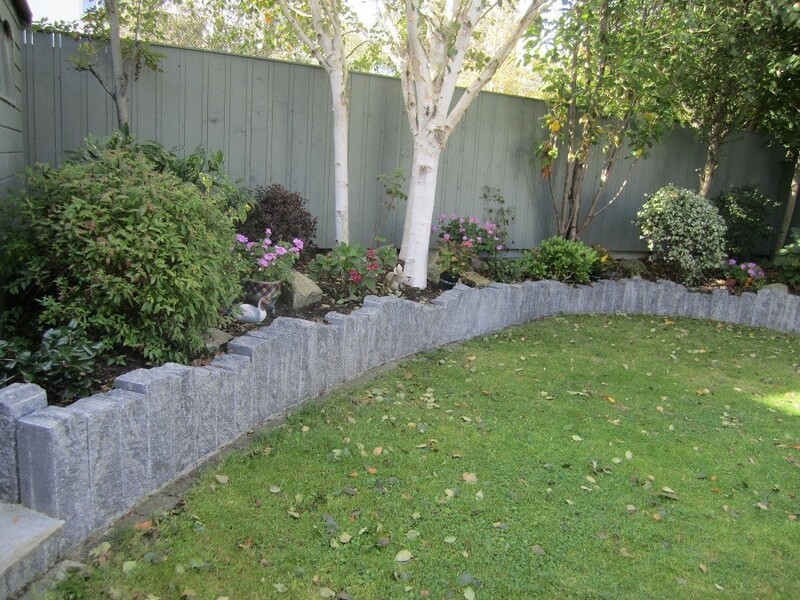 My recommendation for this garden was the use of Kilsaran Causeway Riven walling system. These are a man-made product, created using coloured concrete, and look well, installed vertically. More importantly they are a there for good. The solution for the fencing was to attach 50x50mm pressure treated joists to the existing concrete posts using express nails. To add interest we used two sizes of board 50mm and 150mm. The planed pressure treated boards were attached vertically using 50mm nails leaving a 1mm gap to give definition. 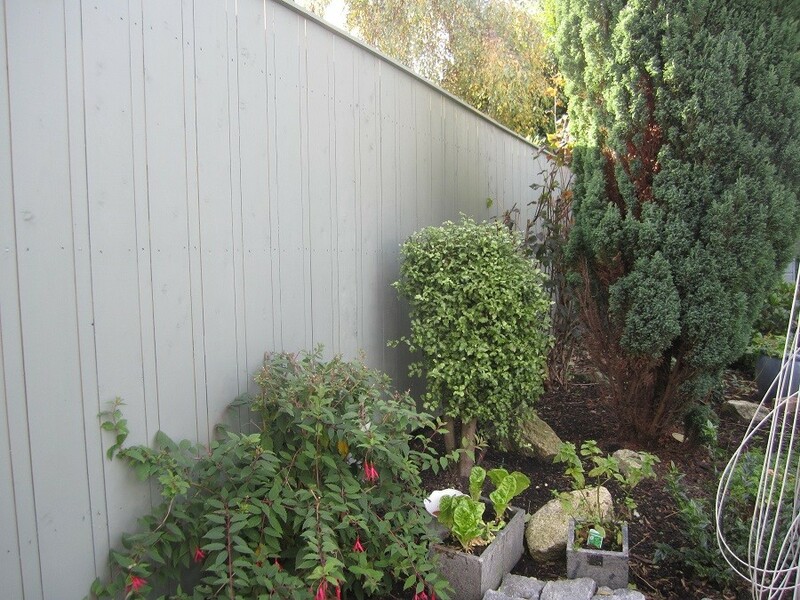 The fence was capped using 100x22mm planed pressure treated Scandinavian Spruce boards, leaving a 25mm overhang. This capping is very important in extending the life of the fence as it protects exposed cuts from the elements. 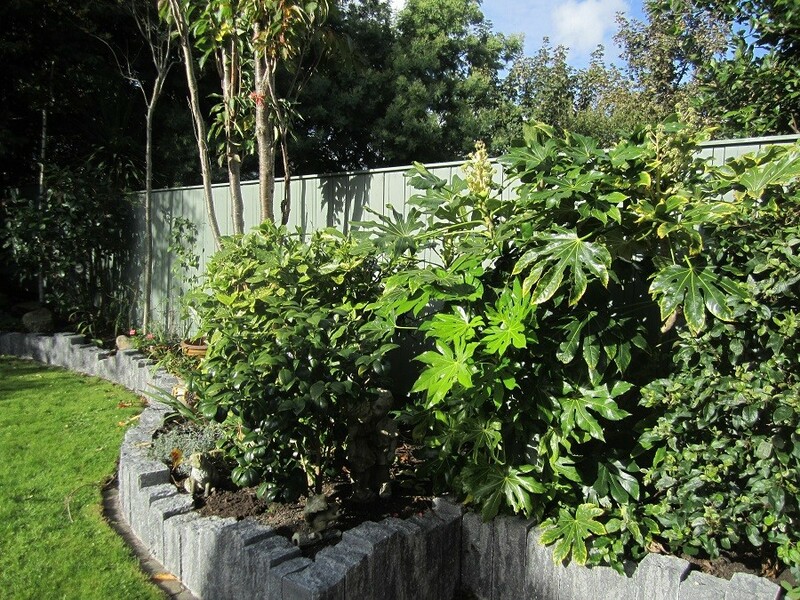 The fence was painted in Ronseal willow which created a fine back drop, enhancing the colour and structure of the various plants. We also painted the shed in willow which really softened and connected the shed to the garden. 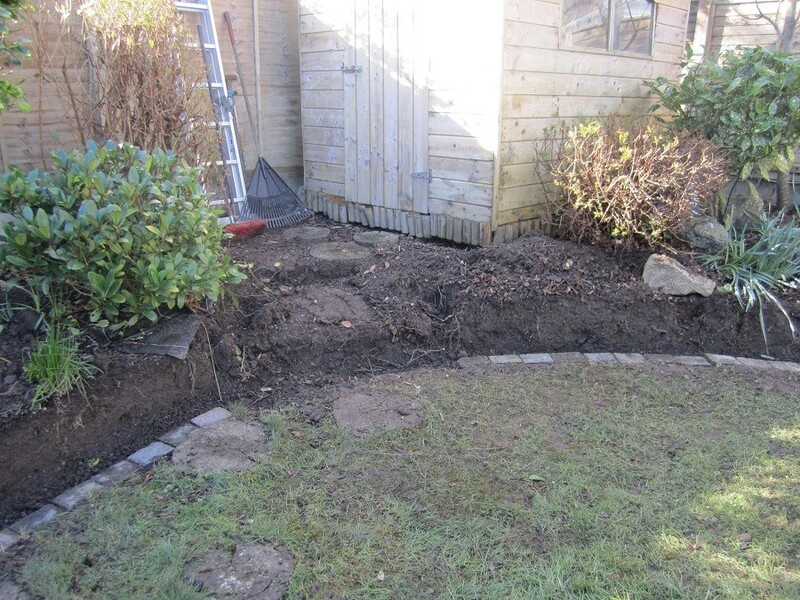 The gaps left by removal of unsuitable plants were filled with Hydrangea ‘Annabelle’, Pittosporum ‘Tom Thumb’, Taxus baccata ‘Fastigiata’, Erica carnea & darlyensis spp., Heuchera ‘Purple Palace’ and Buxus sempervirens. The raised beds were mulched using Greenking soil conditioner to a depth of no less than 50mm. This mulching layer would help new and existing plants thrive by reducing evaporation, add nutrients to enhance healthy plant growth and suppress competing weeds thus reducing maintenance. 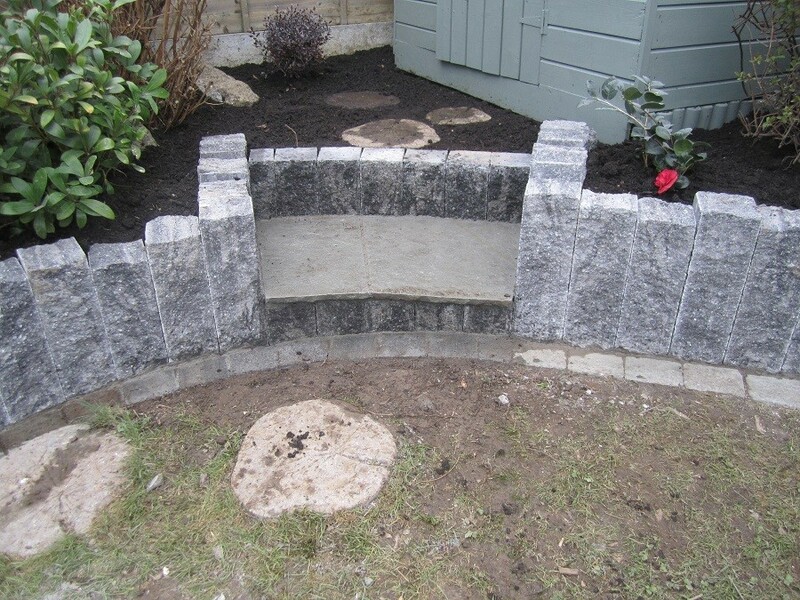 The mulch also acts as a backdrop for plants and adds another uniformed coloured area to the garden. 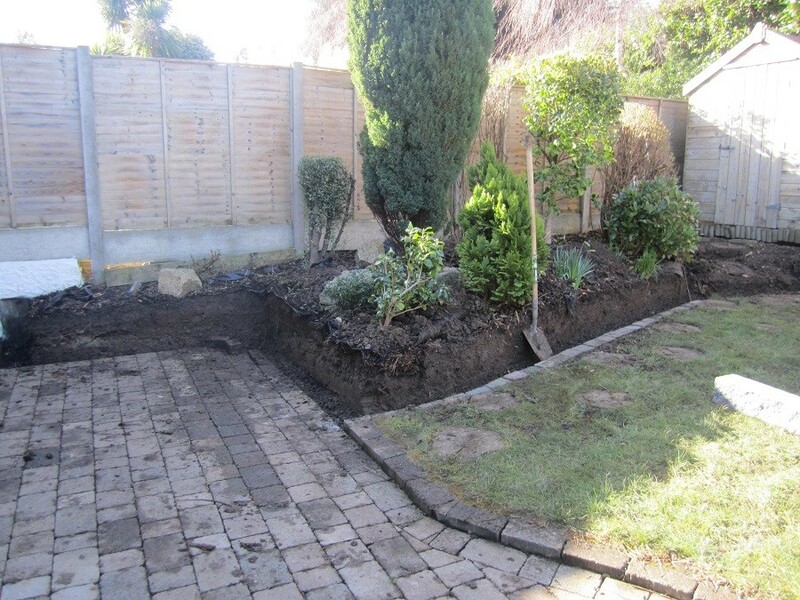 Below is the landscaping schedule covering other areas carried out in the completion of this garden design. The clients were very happy with their newly restored garden. 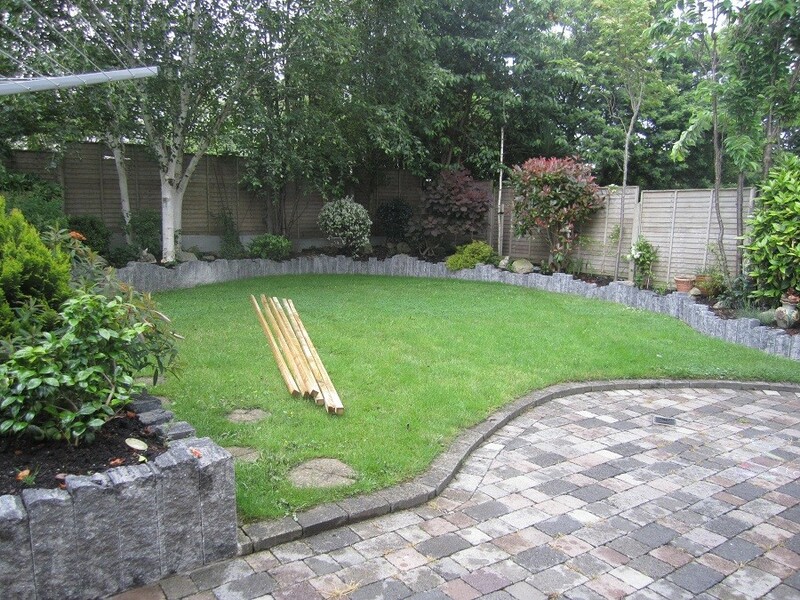 If you require an expert in Garden Design and Construction, contact Kevin Baumann on 086 8198444. 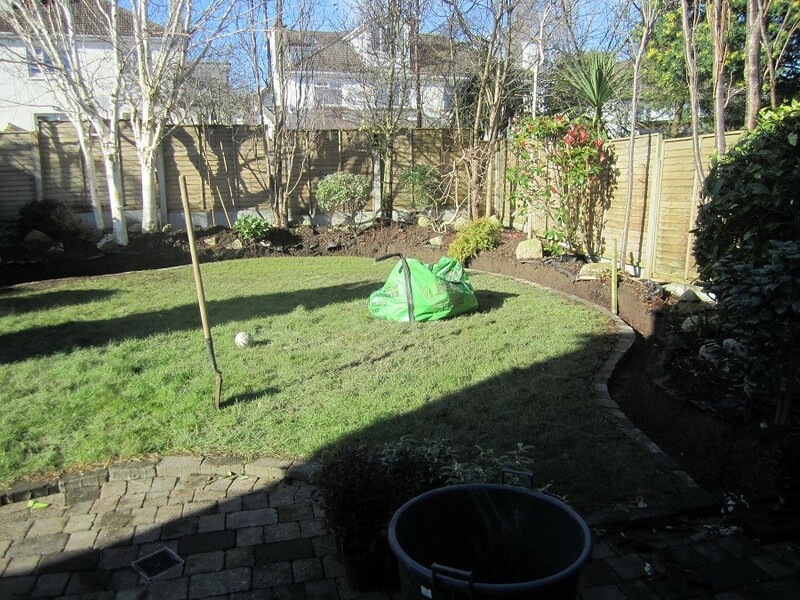 Previous: Landscaping Contractors Design and Build, Churchtown, Co Dublin.